Today I stood within a circle of friends, listening to and speaking memorializing words regarding the tragic death of a friend. Later in the day, I listened to the voice of a friend share with me over the phone emotional pain so blinding that he wondered aloud about the possibility of ending his life. That was just today, yesterday contained similar stories, and I’m sure tomorrow will reveal even more. I am well acquainted with the prevalence of pain in our lives. So these words are not penned from a desk of ignorance or denial. I see and feel the pain. But this is Advent, and in this second week of Advent, we are called to remember the promise of peace. To talk about peace in days filled with pain seems absurd, perhaps even insulting to the reality of the pain. To talk about the sunrise while stumbling in the dark seems like a waste of time. But yet, words about the possibility, the promise, the dream of peace are exactly what gets us through the pain. Remembering that darkness is limited by the spin of the earth assures us of the sunrise. If it weren’t for the words, the reminders, the reality of pain just might win. It seems Habakkuk was weary in the waiting. It doesn’t seem he was weary of waiting. Habakkuk hadn’t lost hope. He hadn’t given up on imagining a different future. He saw the violence around him, the abuse of political power, the neglect of immigrants, the predatory lending, the tax evasion, and idolatry of economies built on greed. He knew those painful realities were not the kind of peace God dreamed of. He knew those realities were not God’s vision for creation, not the plans of a kingdom-come…and Habakkuk was tired in the waiting. But then God speaks. A word of promise interrupts our pain. That’s the Advent promise I am listening too in these days. It’s not a promise of peace for my life, but the promise that God is still working toward his will being done on earth as it is in heaven. I’m weary in the waiting. Disrupted by the pain but yet resting in the promise of justice and the restoration of all things. I’m learning to live within the assumption that God is still at work nudging creation along toward the day of jubilee. Advent is my favorite season of the Church year. It’s a season for dreamers and hope-ers, a season for prophets and poets. They say it’s a season of waiting…but it’s also a season for truth-telling and proclaiming of the already but not yet. It’s for trail-breaking and newness making. The commonly presented theme for the first week of Advent is hope. It seems to me that hope implies something isn’t what we want it to be, that the reality of the moment doesn’t match our belief about the future. Here’s where I have seen the tension of hope in action this first week of Advent. I empathize with the tears flowing down the face of the one who said those words. I’ve walked similar paths of frustration, anger, and confusion. I also know what it’s like to stand on the other side of that ocean of disorientation; to have arrived at a new place unimaginable to me while I was trapped in an undercurrent of hurt. I have experienced life-altering pain at the hands of those who call themselves the church, and I have experienced life-altering healing by the arms of those who lived out church around me. The happy irony of the words spoken to me is this: we were standing in a room in which the church had just gathered. Only minutes before, the room was full of people who, for two hours, sat in a circle offering vulnerable confessions about their fears, addictions, their pain, their depression, and sorrows. The same group sang and read words from Isaiah that declared, “Behold I am doing a new thing, can you perceive it?” The same group submerged their pained stories into the ongoing story of a God who knows how to form beauty from suffering. It was the church gathered and alive; and it was beautiful, real, raw, intentional, healing, restoring, and joyful. And there in that very room we stood and cried together. And it made me smile. Because although she was adrift on the sea of hurt, I knew she wasn’t far from the land of hope. The hope of Advent I see this week is this…even in a day and culture suffering from acute narrative amnesia…even when the beautiful gospel preached by Jesus has been co-opted and deformed into not-so-good-news by the marketers and politicos of our day…even when the daily news cycle reveals the idols of fear, power, and privilege hidden beneath steeples….there is still a wildly free and active God doing a new thing. The work of the land. The work of community. The work of enough. Each are more than formational lessons for us in our journey. They are the interlaced circles of the Kingdom, Church, and Life. They are the root, the vine, and the fruit. They are the lens through which we are seeking to see everything. They are what it means to practice the Way of Jesus. And in our practice, to be patterned into the resurrected life of Jesus. Everyone has been given a land…a place to caretake. Be it in the suburbs or the woods, be it acres or city blocks. Everyone has a land. The land defines who your neighbors are, the land requires your attention and your awareness to its well-being. For your own well-being is dependent on the well-being of the land on which you dwell. Everyone needs the work of community…a people who are following Jesus together. A people who define the reality of our lives. A people who self-limit for the other. A people who encourage one another on to good works. A people who serve and love together. And everyone needs the work of enough. Let me say clearly and up front that the work of enough can’t be simplified into merely owning less; it is about what owns us. The work of enough has been the hardest work we have tackled. I can’t say we have mastered it…but we are apprenticing enough’ers. What is the work of enough? It’s a little hard to define. For “enough” is a mysterious thing. It’s not something you can hold, create, or something you can see…but it is something you must search for, and it is something you can find. The work of enough is to recognize the gift of your one life. As a Chaplain, I have sat in front of many people and listened to their dying regrets. Not one time have I ever heard someone say they tried to ruin their life. Not one time have I ever heard someone tell me they wanted to be unhappy. But I have heard the same stories and themes over and over. I would summarize those stories like this: If I could live again…I would pay more attention to what I was given rather than what I wanted. The work of enough is to recognize everything in life is derived. Everything is gift. The Bible starts with this lens…everything that exists derives from a Creator. The Genesis story is not trying to argue a scientific fact of beginnings, but providing a lens to begin life with…to see life and everything in it as a gift. Unfortunately, as told in the Genesis story, humanity struggles to embrace the humble work of enough. We too often eat the bitter fruit of wanting to trade places with God. We try to return the good gift of earth in exchange for something more. To avoid the worn path leading out of the garden, we must refocus ourselves on the work of enough. The work of enough reveals that we are dependent. We are not self-made. We are dependent upon God and one another. No one exists independently. We are all connected. The work of enough is to embrace our dependence. To live in a spirit of trust in God and the other. To live with an awareness that my choices in life can dictate the conditions of another life. The work of enough frees us from the independent pursuit of status, positions, and possessions. The work of enough keeps us from the traps of labels, judgement, and fear. The work of enough requires us to confront our active idolatry. Richard Foster says, “Idolatry is, of course, the attempt to erect an allegiance higher than God.” There is no shortage of idolatry at work in our lives. Idolatrous monuments litter our cultural landscape – and if we struggle to name them…it’s likely because we are captive to them. The work of enough is the discipline of identifying and confronting our active idolatry. What does the work of enough produce? The work of enough forms a contented life. The work of enough makes room for joy. Again it is Richard Foster who says “Joy, not grit, is the hallmark of holy obedience.” Engaging in the work of enough disciplines the spirit of dissatisfaction. The work of enough puts to work the lazy imaginations of anxiousness. The work of enough creates grounded and grateful people. The work of enough forms a person who knows they are not what they own and are fully aware of what owns them. What we need is here. And that is the work of enough. On our land is a house. 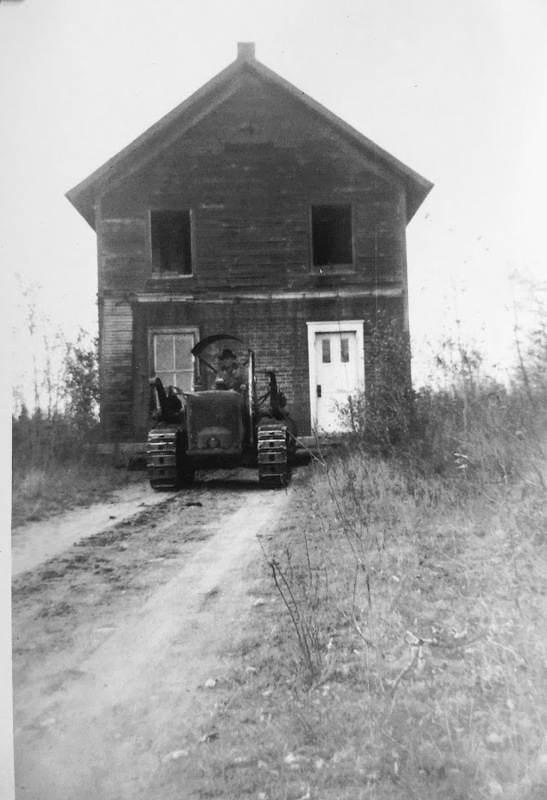 It was already an old house before it was moved on skids from down the road to its current location in 1959. The house wore its character of 100+ years well. There was a kind of beauty in the decay. An artistic expression of age. Even the siding was gracefully falling off and the broken window panes glimmered in the sun. It was weathered, broken, and had become unsustainable for the second time; but yet it was hard to start the process of restoration. It seemed sacrilegious to ruin its picturesque image, but yet we knew somewhere under the decay was the healthy framework of a home. It required careful and selective demo…ridding itself of the former to make way for the new. Finally, after months of help from family and friends, it again became what it always was meant to be…a home. There is still much to complete, but we moved our family in as soon as there was a stove for heat and a toilet to flush. The house has become a narrative for us. For we are also in the process of rebuilding our understanding of church. It’s painful work at times. There is much to love about the old institution. There are important memories and a history worth telling. But like our old house, church has become ornamental – over-grown in budgets, buildings, and opinions. It is evidenced by the crowds who faithfully visit but the church remains a background prop for their lives. Few are actually willing to move in…they pass by only seeing an abandoned structure, ambivalent to the stories of those who called it home. And there are others who disdain its landscape presence, demanding it be torn down and forgotten. It seems we have arrived at a crucial moment…to begin the process of reformation. I’m not interested in tearing down the church, for I need a spiritual home. I am interested in rebuilding a home from the ground up on the foundational message of Jesus. Not merely a message about Jesus…but upon the wisdom and way that Jesus taught. And there is a radical difference. The way of Jesus begins in community. Jesus built the foundation of the Church with the simple invitation of “Follow me.” It makes sense, I reckon, to those who understand God as Triune. A God who exists as relationship…surely would begin with relationship. It seems then the thing we call Church is simply this: people in community with Jesus. I love Wendell Berry’s definition of community. “A community is the mental and spiritual condition of knowing that the place is shared, and that the people who share the place define and limit the possibilities of each other’s lives. It is the knowledge that people have of each other, their concern for each other, their trust in each other, the freedom with which they come and go among themselves.” -Wendell Berry, The Long-Legged House, Pg 71. That’s some serious work. And it’s that work of community over the past two years that has rebuilt our church home. We gather every week with a handful of families. There is no regular time or place, no specific agenda, just the discipline to meet for a few hours and share our lives. We have gathered in barns, parks, and homes. There is no one person in charge. There is usually shared food and shared stories from the week. At some point there is an invitation for everyone to gather around the table. We read from the Gospel (currently Mark) listening for the words that speak in the moment, and we share joys/concerns/needs. Sometimes there’s an response – an offering of help or resources. Always there is encouragement. This is the work of community. This is church. It’s taken me quite awhile to call it such. I would talk of our gathering as something in process or something with potential…but I am learning to identify it for what it is. It is Church. Some have hinted from a distance that it is not. Not official enough. Not organized enough. Others share of their own hope for such a community but cannot bear to begin the reformation process.They remain paralyzed in memory, unable to respond to the twitches of discernment flashing in their own imagination. There are still others who cannot imagine a way around the bi-weekly reward of leaving the house exactly where it is. And yes, I have experienced all of those thoughts too. I have no answers or advice. Certainly no model or articulate argument. But I sense the house is worth saving. There is framework for a home under the decay. And for us, the arduous work of community has created a new home in the church. A year ago I reflected upon our life-transition in a post titled, Homeless and Unemployed. In the spirit of Epiphany, it seems this is a good time to share a few revelations we have experienced over the past year. Some background: Two years ago we moved our family of five out of the suburbs. We had no specific plan. Only hopes and a vision of owning land that would perhaps teach us something new about life. We had become disillusioned with the duplicity readily recognized in our life and others. We desired to find something more rooted and grounded, something more simple and real – and we were drawn toward the agrarian life. Both Ashley and I grew up around farming…and we knew its inherent earthiness could serve as a re-formation school for our lives. We had no idea how to make it happen…but with a unanimous vote from our three children…we pushed all in. We resigned our jobs, gave away most of our belongings, sold our house, and moved to the Adirondack mountains of New York. We lived in the garage of Ashley’s parents…it was both a life-changing gift and a humbling process. Such a mix of emotions with every turn into the driveway. We were incredibly thankful to have a place to live while we searched for jobs and learned the area – but with every passing month we were increasingly aghast with the feelings of failure. What we thought was a few week arrangement turned into an eighteen-month move-in. But then it happened. I don’t have the space here to write out the full story. Parts of the story are nearly unbelievable. Things fell into place as they say. Finding meaning in our move began to be easier. 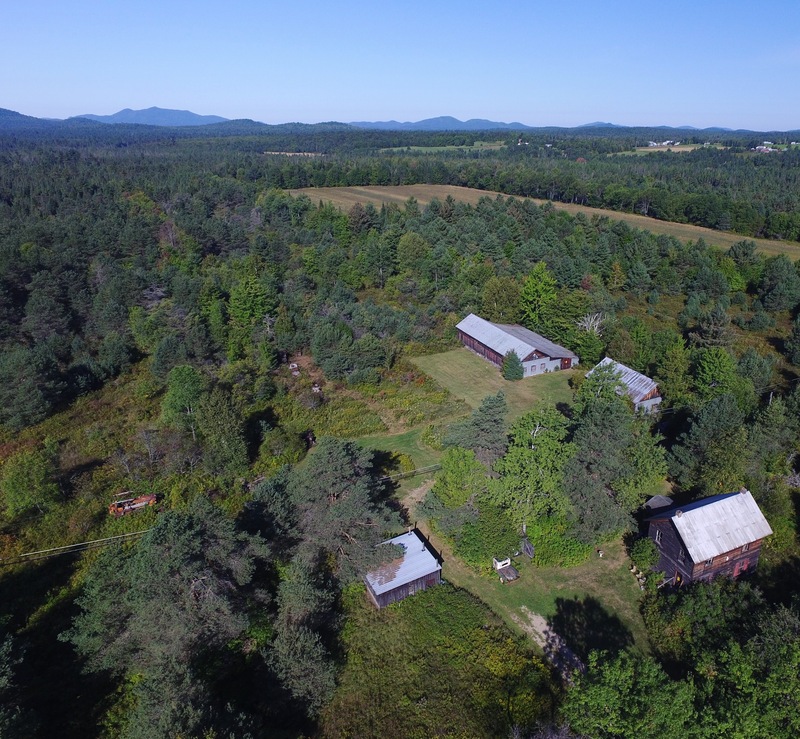 And then, with unforeseen Provision, we purchased a 50-acre farm in need of restoration. It was as if the agony we endured in making the decision to resign, the angst of wandering, the anxiety of shame…they were merely illusional shadows on the path of faithfulness. It’s tempting to think that’s when our journey finally began, but I’m certain it was the eighteen months of sitting on the shelf that actually preserved us. It was in those waiting days that we had to face the continued duplicity of our own lives. We discovered it wasn’t merely an issue of shifting our context, but an issue of sifting our character. Not an issue of mere affluence, but an issue of what/who would be our influence. Not merely an issue of ending want, but an issue of beginning abundance. We no longer had a title or position to hide behind, we had no paycheck to numb our pain, we had nothing to give or to invite others to join, and we were left with only the growing awareness of ourselves. It was in those moments we identified how we did not want to live. It was those months that revealed the implicit intentions of the dominate narratives that had dictated so much of our lives. We had to do more than identify the mindless consumption and want that controlled hours of each day and the scripts of anxiety and shame convincing us of our worthlessness…we had to resist them, relinquish them, and to replace them with new scripts. For the past year we have lived into a different story that I will attempt to share here over the next week. It’s these new narratives that encourage us to continue forward. Like migrating animals who instinctively return to the same home each year, we are becoming homed to these new scripts. We are awakening from our slumber and learning to lean into the new thing God is doing. We are being homed to the boundary-less Kingdom. Homed downward to the everyday details of the good life around us. Homed to the image of God in the face of others. Homed to celebrating love as the existence of God. And being homed in such a way provides a new kind of employment. It’s that new work that I will share about over the next few days. The work of the land, the work of community, and the work of enough. We were novices in the paddling world; dangerously inexperienced. Our two short practices in the month before the race both ended in disaster. One with a capsized canoe and one with a “we’re lost” call to the forest rangers. On the first morning of the race, as the other boats eagerly bobbed near the starting line, we steadied ourselves at the edge of the dock. Perhaps it was fear of the unknown obstacles ahead; the mystery beyond the mist of the morning. Or maybe it was a lack of trust for the others in the boat. We had started as a team of four, but those two practice experiences led one to jump ship. The empty seat could have been the final motivation to withdraw from the race, but instead, it became our rally cry: “There’s no quit left in this boat.” For although we lacked experience and although we did not yet know what the journey would require of us…we were curious enough to try. Each man in the boat has a unique story. Each walked their own path to this point. I arrived in the stern of boat by way of my role as an addiction counselor. My task was to keep the boat pointed in the right direction, to avoid obstacles, and encourage forward movement. Two seats ahead of me, in the second seat, was our power. The speed of our boat rested in the hands of a disabled determined veteran with fused wrists. At the bow of the boat sat yet another veteran, accustomed to merely hiding in the crowd, now given the mission to lead our pace. In the third seat, the empty seat, should have been an additional power paddler. But instead we filled the seat with the names of the “missing” in our life. Remembrance is its own strength. The gun sounded and carefully we pushed off the dock. 8 hours the first day, 6 the second, and 4 hours on the final day. Each day we were faster. 90 miles in 18 hours. Three inexperienced paddlers finished a race they shouldn’t have entered. We certainly weren’t the fastest. Our routes weren’t always straight. But there was something unique about our crew. We knew our weaknesses and we admitted them. We learned our strengths and we used them. We recognized when the other wanted to quit and we encouraged them. I suppose it was more than a canoe race for us. It was a three-day submersion into the surrendered life. In addiction counseling and in AA/NA there’s a lot of talk about admitting powerlessness. Some struggle to find that place of surrender. Some jump ship at the moment it’s required. But the surrender to powerlessness is required for any real life-journey to begin. Perhaps our powerlessness moment happens when we finally admit our own success is dependent upon the success of the other. Living with an awareness of the other helps us see that everyone is paddling through the same currents. For me, the past couple of years have required a surrender of an identity I once held too close. For the two men I sat behind for 90 miles, they too are in process of letting go of their false-self. Their warrior narrative is fading. Their addict label is beginning to peel. As we crossed the finish line the final lesson became obvious: our highest joys come in moments of shared experience. Our lives are best lived in recognition that we are all in the same boat.